The first one is "R&S"Wedding, I can't post the photo of them but let me describe them, the bride is beautiful and the groom is handsome :D I love the way they did arranged the colors for their wedding costumes and decorations. 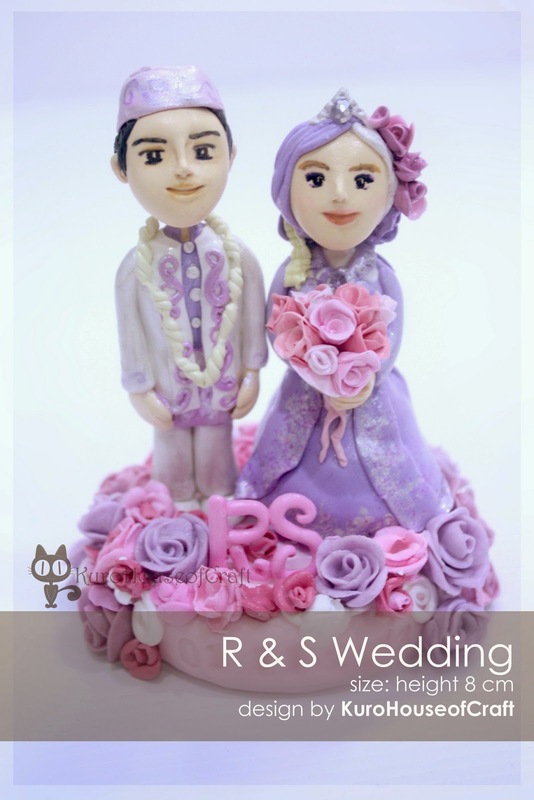 They combine violet, purple and silver also pink rose bouquet, white small flowers ornaments that always used by mostly Indonesian traditional wedding couples. So tried to makes everything will look exactly the same just like them and put many flowers around them. 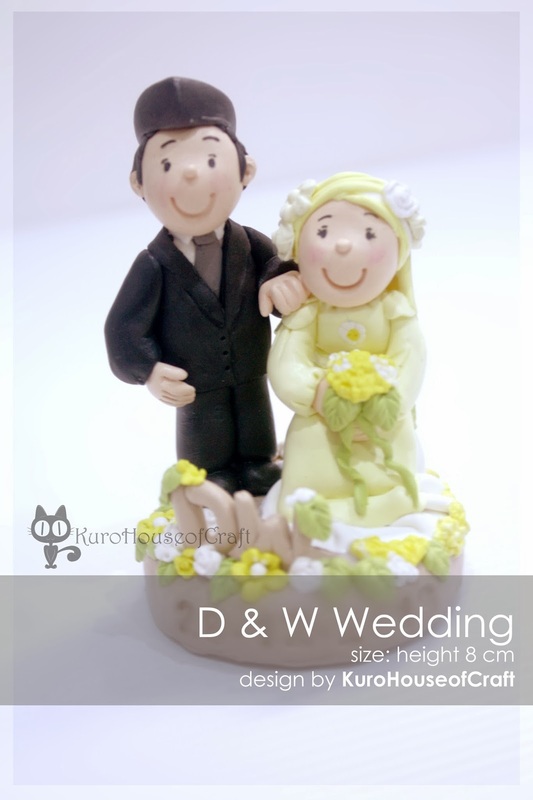 Truly nice inspirations for Clay Wedding Couples. 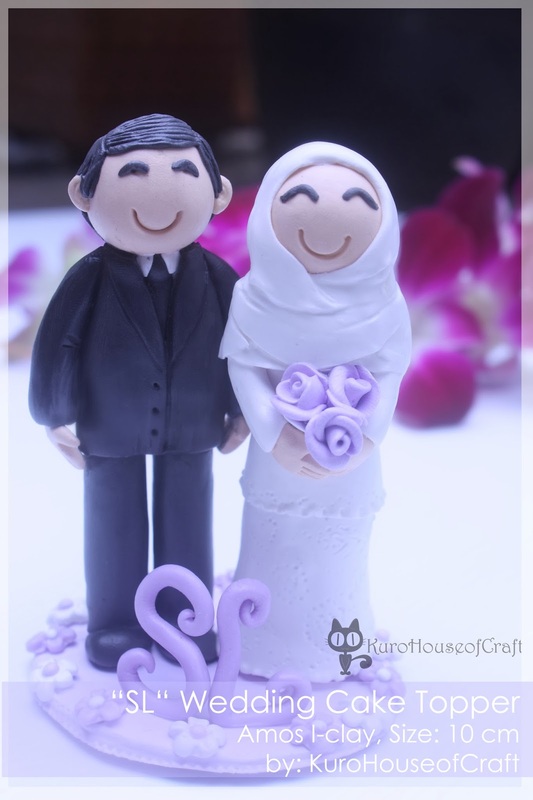 These kinds of cake toppers are quite popular for a long time. We recently got married and decided to experiment with almost everything forever big day. We had a classic vintage themed party at some rental spaces for parties and the cake topper was custom made.